After graduating with a double major in Spanish and Political Science in 2011 I felt the need to put my language skills to use and so that September I left for Madrid, Spain to work in a public high school, teaching English as a second language. This position provided me with the opportunity to develop my communications skills (in English and Spanish), both written and verbal. I ended up staying for two years, allowing me to truly immerse myself in the Spanish culture. The following is an article I contributed to the institution’s monthly publication run by the faculty. 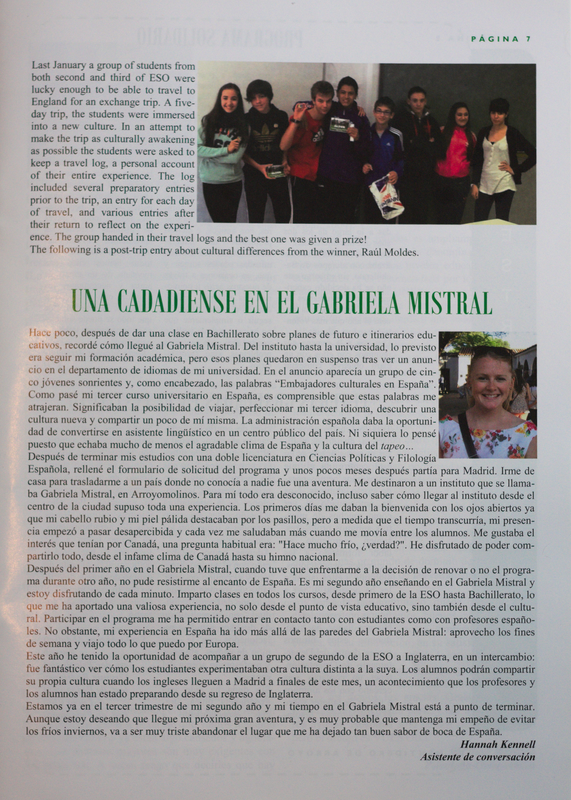 The article not only attests to my Spanish skills, but it allowed me to share my experience as a foreigner with the student body, their parents, and the faculty.